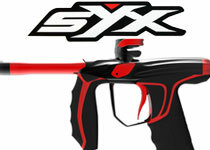 Empire Paintball is a leader in high quality, high performance paintball gear. 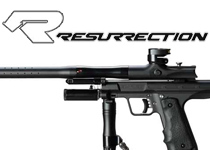 Empire's Full Line of paintball guns have taken fields by storm over the past few years. Empire's tournament line is comprised of two markers, the Empire Mini(formally Invert Mini), and the Empire Axe. 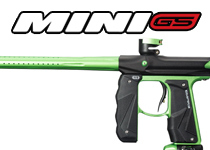 The Mini Paintball Gun is an entry level tournament paintball gun. Small, light and easy to work on are a few features of the Mini. The Empire Axe is a Mini on steroids. 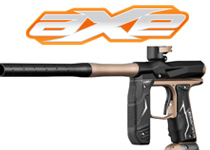 Slightly larger, more accurate, and more consistent are some of the features that round out the Empire Axe Paintball Gun. 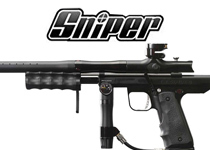 Empire's woodsball/recreational line, Empire BT Line, is full of realistic, cool looking and very intimidating paintball guns. 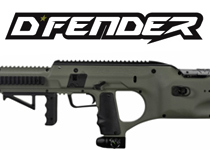 Starting slightly over $100 there is a gun at everyone's price range. 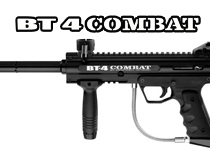 And if you want a high end, super high performance scenario paintball gun, you have to check out the Empire BT TM-15 Paintball Gun!